Thats a common problem. Unless you know exactly where the nest is located (see frass or sawdust), finding it can be difficult. Seeing workers randomly means that a nest is somewhere - but where? Not being able to find the nest means that you either have to spray to try and kill as many worker ants as possible (not recommended as it usually makes the ants worse for many reasons) or using a bait and let the worker ants carry the bait back to the nest. 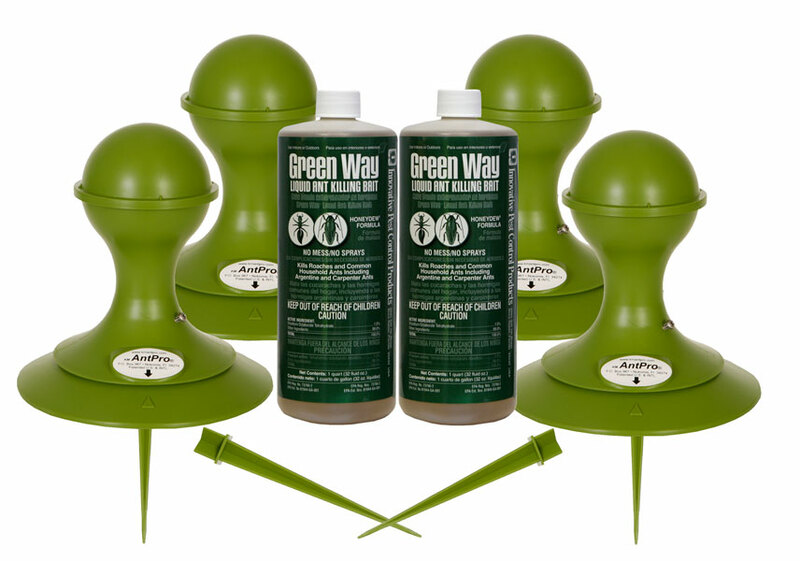 The KM Ant Pro system is the only ant bait system on the market that almost never has to be touched. Once you set the stations, the bait only has to be replaced every 3 - 4 months. Plus it's used outdoors (not indoors) so you never have to worry about it. Every other bait available including Advance Carpenter Ant Bait, Maxforce Carpenter Ant Bait, etc, have to be reapplied every few days until control is achieved. This means you could go through a lot of bait to get control, or just use the KM Ant Pro System - set it and forget it. The choice is up to you. We have thousands of satisfied customers with the KM Ant Pro System.